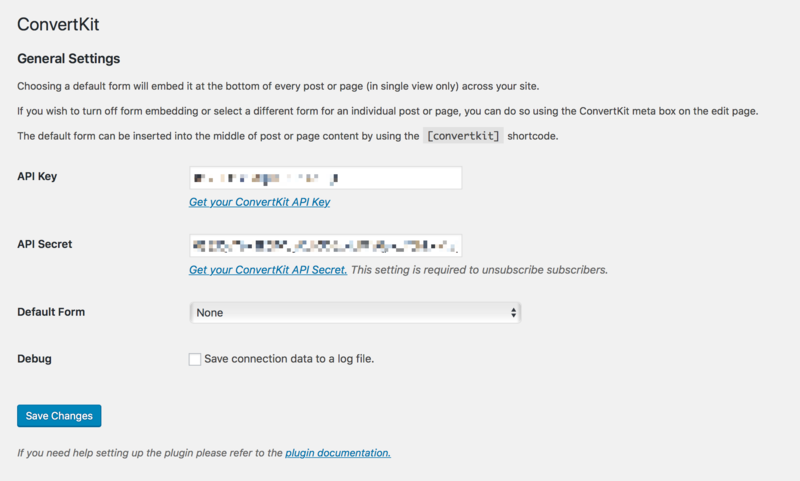 Haven't set up the ConvertKit Wordpress plugin? Start here. If you're using the ConvertKit Wordpress Plugin, and your Forms aren't appearing when you set the plugin defaults, or the shortcode provided in the embed options for your Forms, the fix may be as simple as clicking a button! You can force the ConvertKit Wordpress plugin to check with your account to find any new forms and make them available. In most cases, this will fix the problem! 2. In the general settings of the plugin, you'll see the Refresh Forms button. If refreshing your forms doesn't work, you may need to reset your API connection. 2. In the general settings of the plugin, you'll see 'API Key' and 'API Secret'. Remove the text in both of those fields and save your changes. 3. 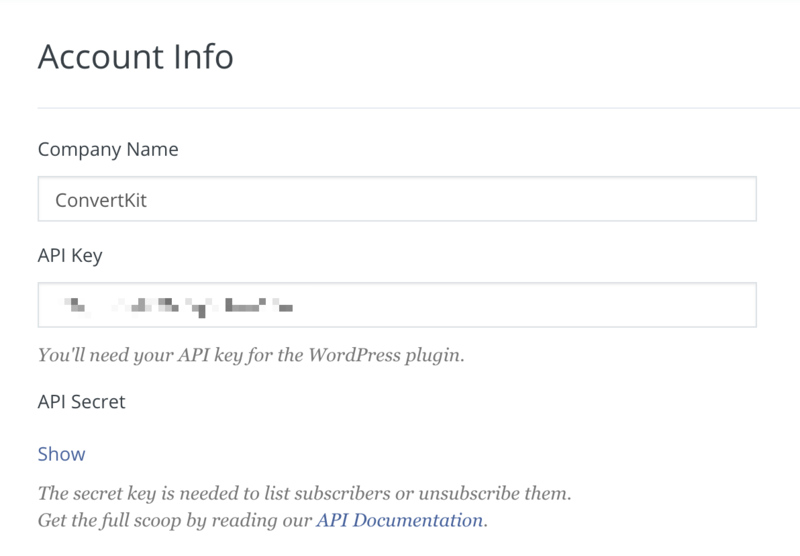 Go to your account info in ConvertKit ( found here) and copy the 'API Key' and 'API Secret' shown there to the ConvertKit Wordpress plugin. 4. Save changes again for the plugin. After you've reset the API, look for your Form in the plugin defaults, or embed the Form using the form shortcode. You should now see the Form appear!